Going through a divorce takes a toll on both of the spouses as well as on other family members. In the event there are children involved, parenting plans and child time sharing proceedings will be required as well. In making these plans, grandparents are often left out of the equation. The following are some tips on ways you can protect your rights and your relationship with your grandchildren. Under the Florida Statutes, grandparents do have specific rights when it comes to visitation with grandchildren. Unfortunately, these typically only apply in situations in which the parents themselves are unable or unwilling to care for their child. In proceedings involving temporary foster care placement of minor children, either due to a parent’s illness or issues concerning their parental rights, grandparents may petition the court for a formal visitation order. These visits may be conducted in the grandparent’s home or at some other location, such as a county childcare facility. In the event the court awards custody back to the parents, such as after completion of parenting classes or drug and alcohol rehabilitation, the grandparents’ visitation order will no longer be in effect. 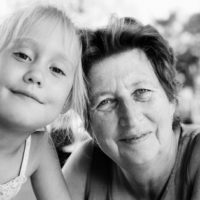 While the bond between grandchildren and grandparents is often strong, there are few options available in terms of forcing the parents to allow the grandparents to remain in the child’s life. In general, any visitation is entirely up to the parents’ discretion. Abide by the parents’ rules for the grandchildren when they are in your home, such as bedtimes or avoiding sweets. In the event you do notice issues with the child, such as being hungry, having a disheveled appearance, chronic illnesses, or unexplained bruising, you may need to notify the authorities. Consult with an experienced attorney to discuss how to proceed. For concerns about your grandchildren and your rights and responsibilities as grandparents, reach out and contact Fort Lauderdale attorney Vanessa L. Prieto. We can arrange a confidential, one on one consultation in our office, to discuss the best course of action in your case.